Science teacher M. Ashok showing around the scientist corridor' at Chilakaluripet. 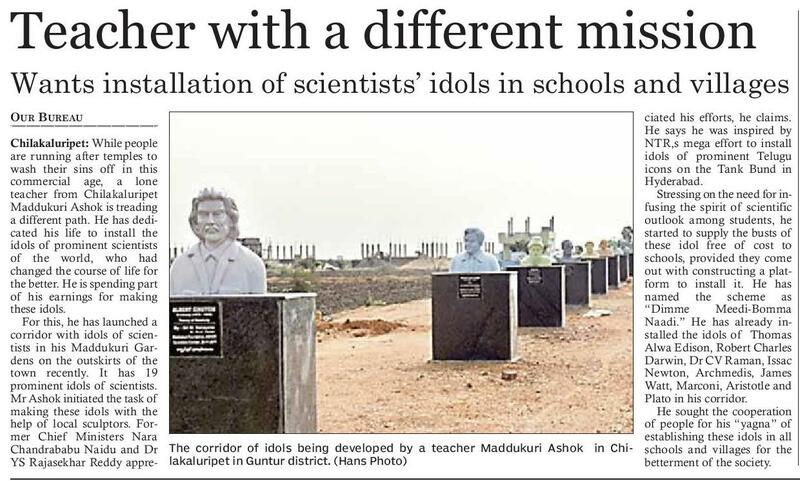 “The statues of Albert Einstein, Charles Darwin, Madam Curie and Sarvepalli Radhakrishanan, etc, made of fibre glass have been put up in a row amidst green fields by this ardent enthusiast of science. A plaque carrying their names and the distinction they achieved is installed on the pedestal. Each bust-size image is erected on a granite pedestal and Mr. Ashok is now laying a BT road so that students can visit the place. “I do not believe in God or religion. Science is life and the scientists, who have made our lives better, comfortable and healthy should be revered,” Mr. Ashok says. His keen interest in science prompted him to make fibre glass bust portraits and distribute them free to government schools. 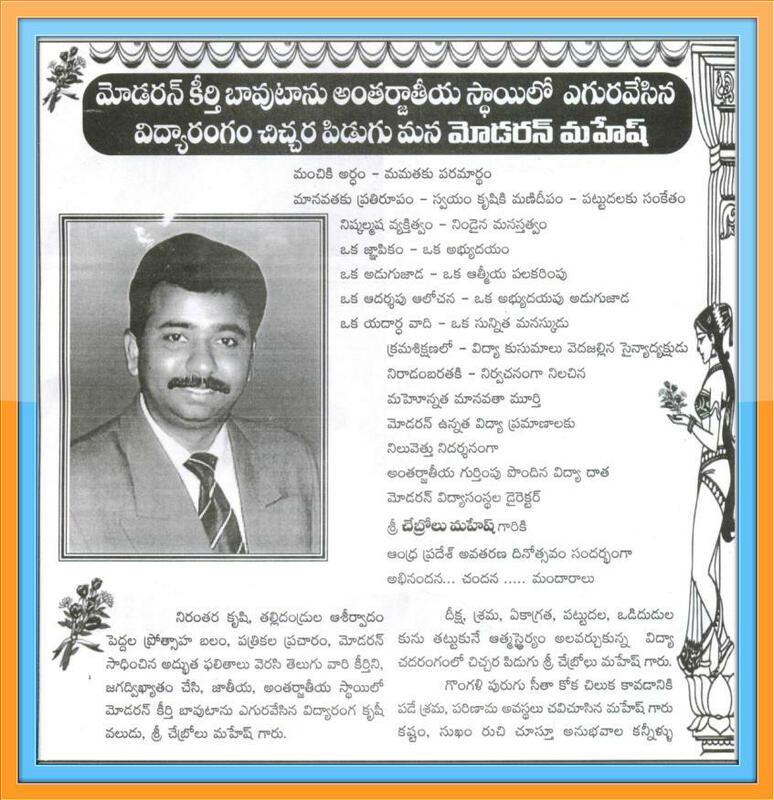 In 2004, he organised a procession of statues in Vijayawada and Hyderabad, catching the attention of the public. He published calendars and posters with details of important scientific discoveries in the last few centuries. “I suffered monetary losses when I stretch my enthusiasm a bit too far. The rising cost of production has made my job difficult. But I could resume my interest after my real estate business picked up,” Mr. Ashok says. Having set up the Maddukuri Foundation recently, Mr. Ashok is planning to set up a mini theatre to screen short films about the lives of scientists and origin of man. 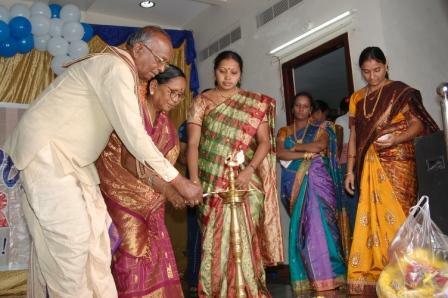 Hi and Hello we are the staff and students of Modern Educational Institutions. its our pleasure to meet you all once again.also our X-Mas greetings to all of our friends and guys, happy Happy and Merry Merry Christmas along with new year 2012. You Know Guys how we celebrated this happiest moments. yes, we with your Santa Claus joined together In our Conference hall. we made colorful decoration in the hall. it's the right time to give a Gospel to our colleagues also introduce about the JESUS CHRIST, who is the Saviour of world. we called up a paster to give and share few words about the BIBLE. Our grandpa Santa clause distributed chocolates and biscuits. so that all the children in the campus let the Blessings of Christ. 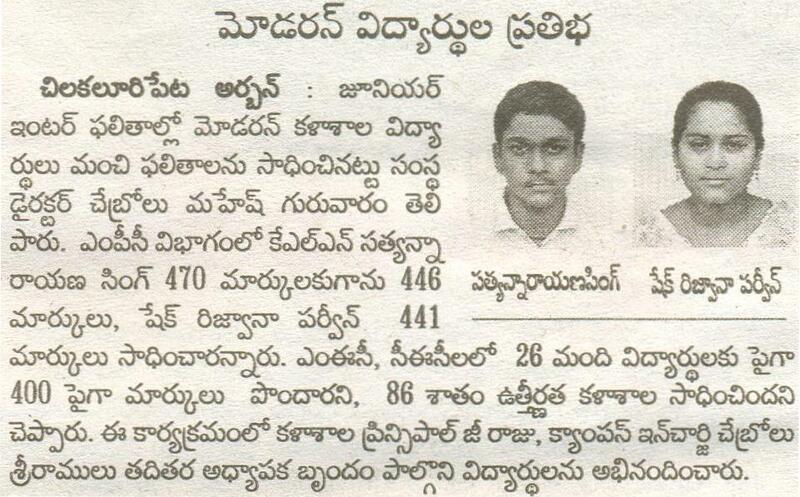 Our Directors CH.Mahesh Garu, CH. 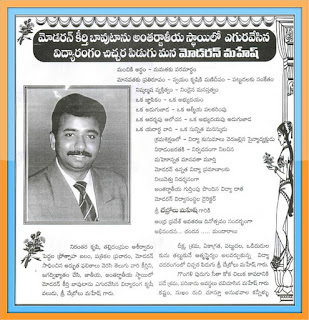 Mastanrao Garu and our colleagues greeted us gratefully. Though they are Non-Christian's, always welcomes us Heart fully. They enjoys well with us in every time Christmas Celebrations. We can say proudly this, MODERN EDUCATIONAL INSTITUTIONS are one of the best example of the India's special feature in unity in diversity. As well as secularism. we all together cut the Christmas cake by lighting the candles. 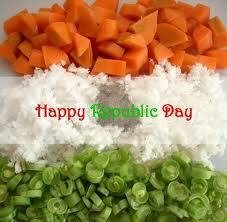 Lastly we enjoyed and come to an ending with delicious love feast. 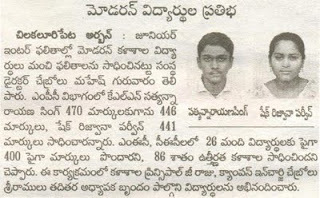 Our Student CH.Ramya Qualified to State Level Inspire Science Exhibition 2011 In Hyderabad on 10-07-11 and 11-07-11.